Julie Gamradt, MS, CCC-SLP, is the director and a speech-language pathologist (SLP) for the Communication Aids and Systems Clinic (CASC) and the Communication Development Program (CDP). She is also a faculty member with the MCH LEND training program. Gamradt has extensive experience providing both clinical and community-based services focused on the augmentative and alternative communication (AAC) needs of individuals who have a wide range of disabilities including: cerebral palsy, autism, Down syndrome, Amyotrophic Lateral Sclerosis (ALS) and other developmental and acquired disabilities. 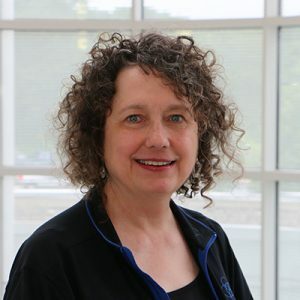 She has more than 30 years of experience specializing in AAC service, outreach and student training at the Waisman Center.